This sweater combines ruggedness and classic style. 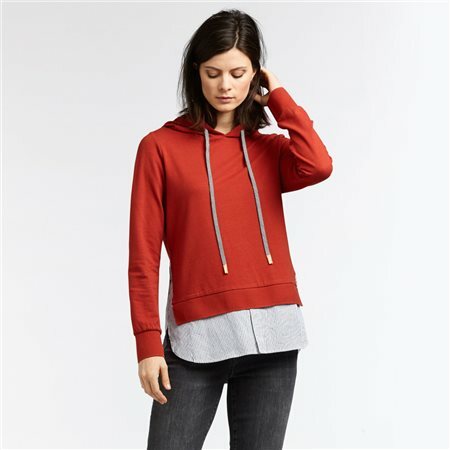 The sweater is made from soft cotton and has a hood for a sporty touch. The striped cotton at the bottom of the sweater lends the impression of wearing a blouse underneath it. This immediately gives the sweater a classic twist, a nice blend.